The HM1700 Bluetooth® mono headset packs a broad set of high-end features while earning the approval of budget-conscious consumers. More than just a headset for making calls, the versatile HM1700 provides A2DP support for mono music and media streaming from an external device like an MP3 player to its earpiece. The HM1700 stays true to Samsung’s commitment to crystal-clear calls and ease of use. 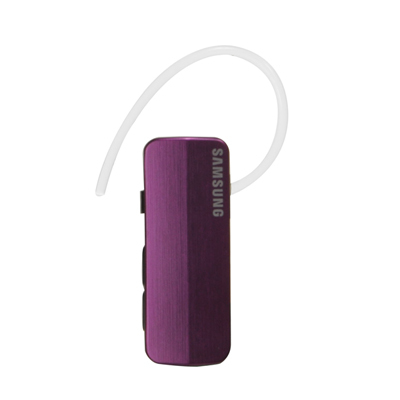 Active pairing enables simple and automatic initial pairing to a Bluetooth® handset. Multipoint technology allows pairing with two Bluetooth®-enabled handsets at the same time. The headset even keeps you informed of its operating status with simple voice prompts. Add to that a multi-colored LED battery-level indicator and a dedicated on/off switch, and you always know your HM1700 is powered up to go the distance.